We don't get much in the way of snow here in Vegas, so I tend to live vicariously (and happily) through my friends and family back home in Michigan. It never fully feels like winter here; sure, we get the odd days or weeks when it's super chilly–even freezing–but I never have to shovel my driveway or scrape my windshield, which is AWESOME. Why am I yammering on about snow and cold? 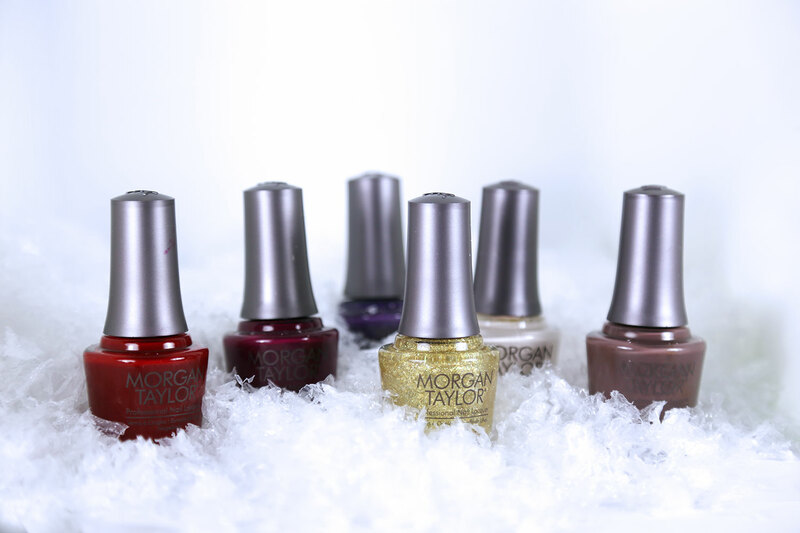 Because I have the new Morgan Taylor Thrill of the Chill nail polish collection to show you, and you're not gonna want to miss it! Hit the jump for swatches! When it comes to merlot colored nail polish, I'm gonna say 'wine' not?! 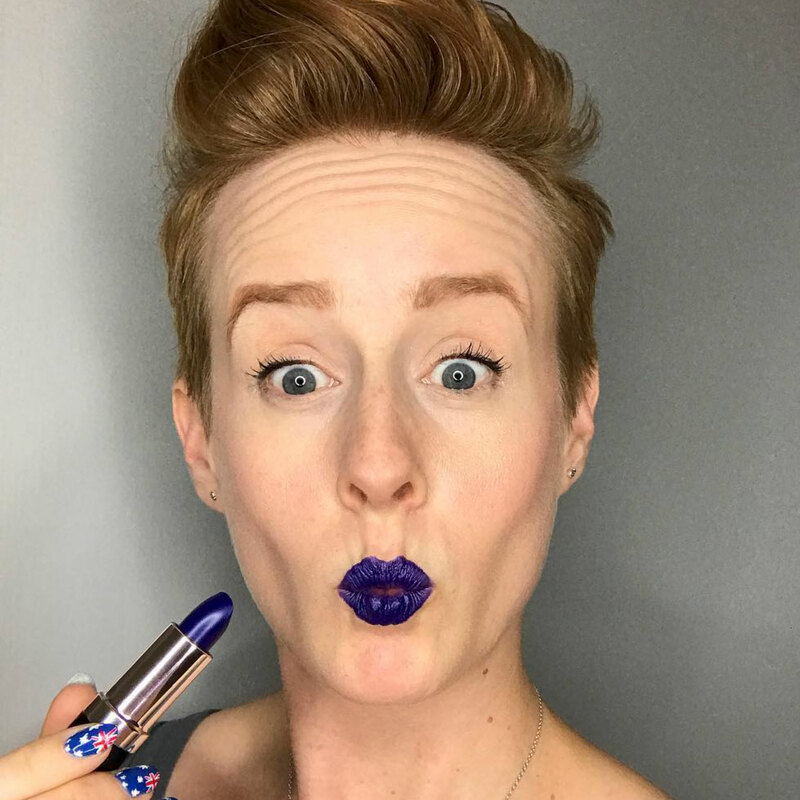 This color is so pretty for winter months, and applied so easily! 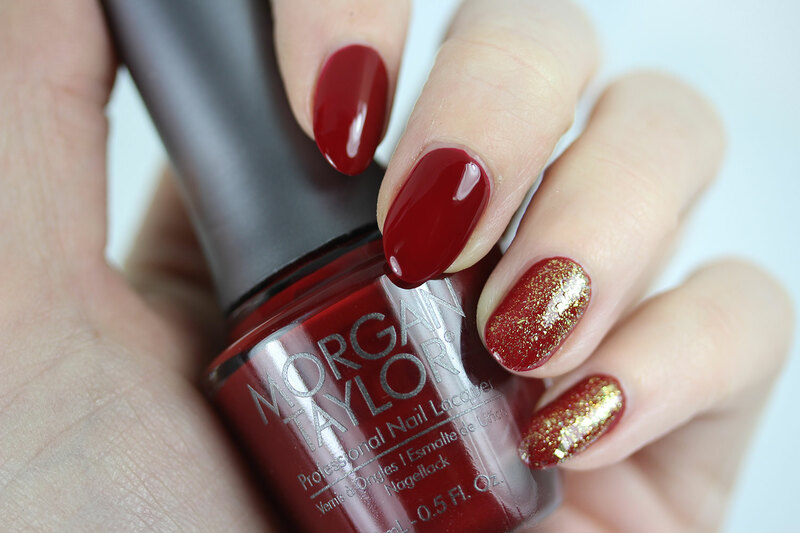 Super vampy and amazing for winter months, this is a gorgeous deep berry that, much like all of the other polishes in this collection, applied like a dream! 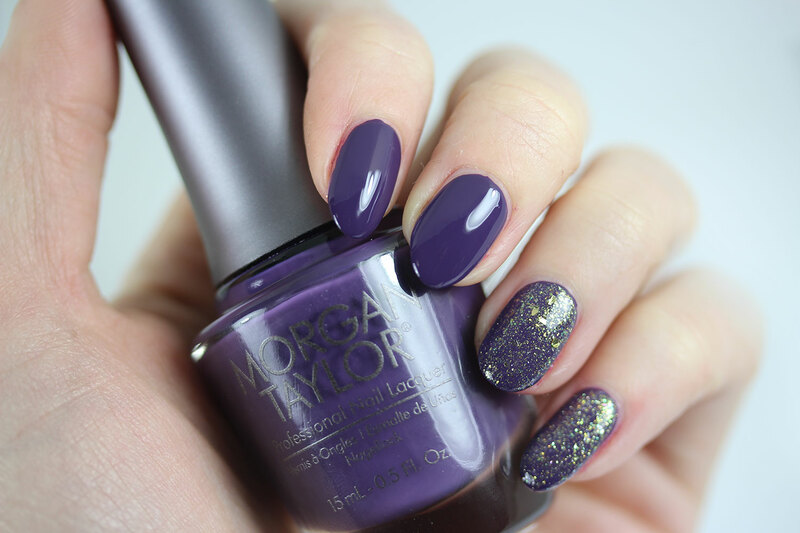 Looking for that perfect Pantone Color of the Year purple polish? Look no further, you've found it, and it's hella opaque and applied like a dream. So pretty. The first word that comes to mind when I look at this polish is cozy. It's cozy, like fuzzy socks, or one of those weighted blankets that I realllllly want to try! This is another super opaque one! I think this might be my favorite of the collection - it makes me think of egg nog, which is my absolute favorite! It's a fantastic base for nail art, or just a nice clean, chic color. So pretty over all of the colors in the collection, it's a mix of gold glitter, golden shards, and a hint of greenish gold glitter as well. I like it most over My Main Freeze, but it looks awesome on its own, too–it builds pretty well!